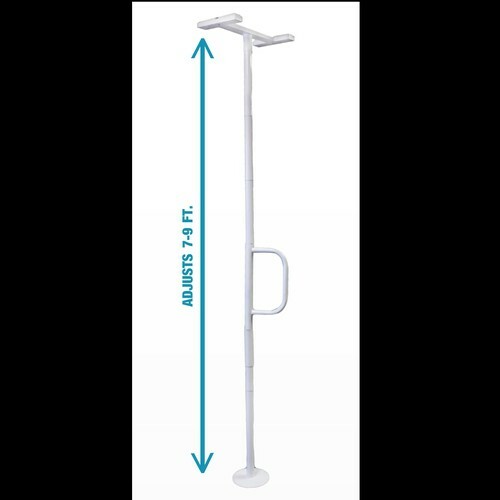 The Floor to Ceiling Grab Bar by Able Life is a solid way to provide individuals help who may have difficulty standing on their own. Whether from the couch, the bed, the shower, or the toilet, the Floor to Ceiling Grab Bar can be placed anywhere in the house and designed to blend in with the furniture for a natural look in the home. 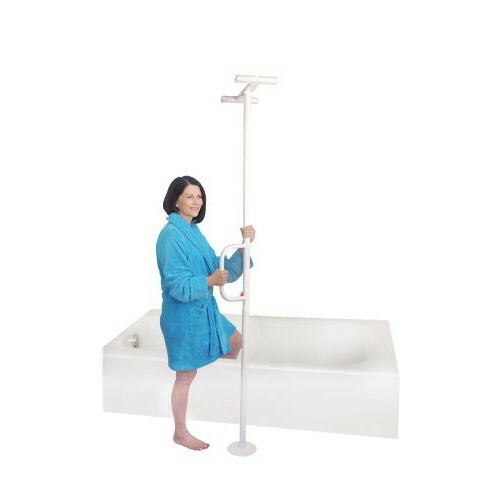 The Floor to Ceiling Grab Bar features a unique tension mount design, which means that it can stand firmly in place without the use of screws or bolts and can accommodate a number of ceiling heights, from 7-9 feet. The ergonomic handle can not only aid in standing, but help in preventing falls as well. Vitality Medical also carries other bed assist rails, such as the Smart Rail Bedside Safety Rail and Healthcraft Products Advantage Rail. Provides Extra Support to Help With Standing Up From Bed, Couch, or Toilet. 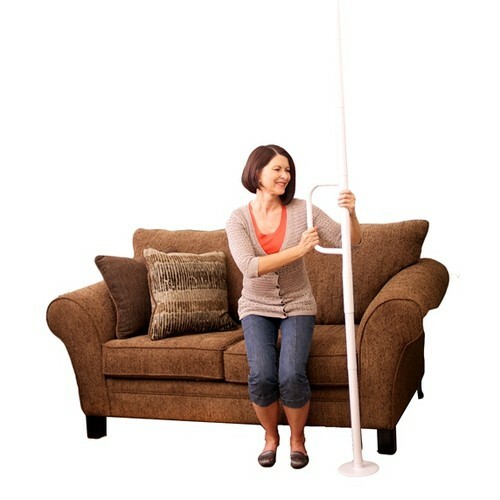 Can Be Placed Anywhere Throughout the House: Next to Couch, Bed, Shower, or Toilet. Tension Mounted So No Screws or Bolts Are Needed. Prevents Falls On Wet Or Slippery Surfaces. Adjustable to Fit 7, 8, or 9 Foot Ceilings. Hi. Can you pull on the grab bar horizontally? My dad is paralyzed on the left side of his body so he needs something to pull himself up from the toilet and lower himself onto the toilet. Yes, you can pull on the bar horizontally; however, you cannot install it horizontally. The lateral weight capacity it 300 lbs. Our ceiling is 9 feet 2 ins. How high does the grab post extend? The post can extend to fit 7, 8 and 9-foot ceilings. Can this be used on a tile ceiling with no issue? 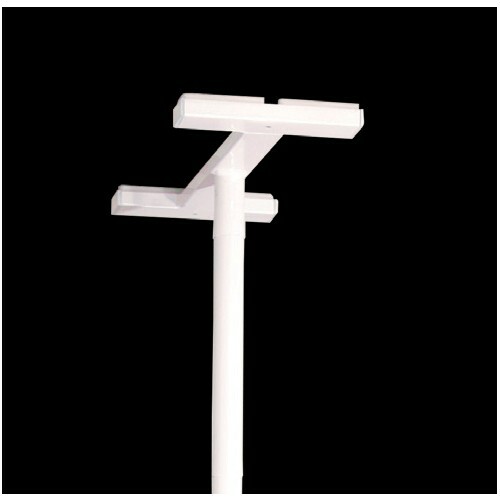 The bar is able to stay on any surface, according to the manufacturer. Can this be used inside a shower stall or does it have to be on a regular tile floor? This item is recommended to be used outside the bathtub in order to prevent accidental slips. We are able to ship to Alaska.